DCS team photo, taken summer 2018! 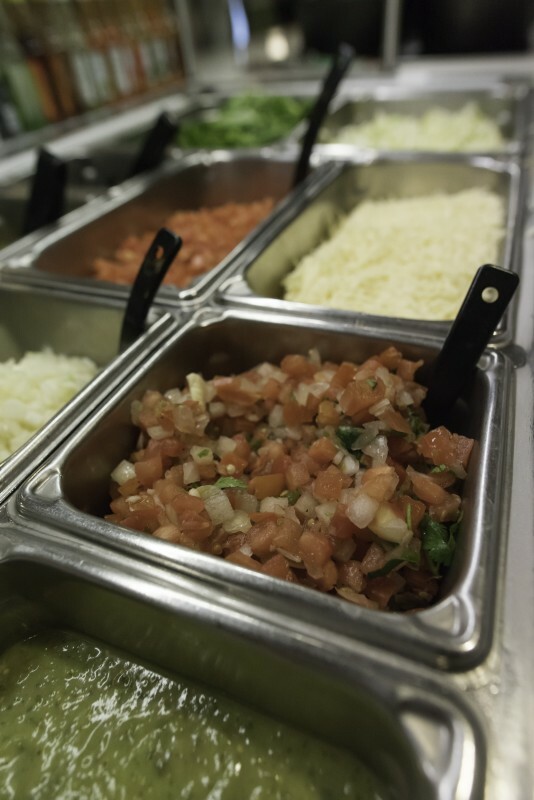 Our mission is to provide excellence and quality by serving nutritious food, creating memorable experiences and continuing education outside the classroom. 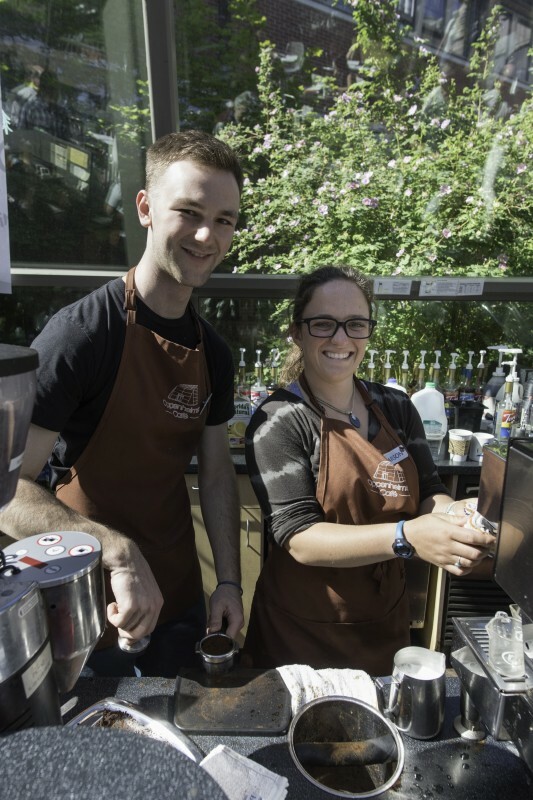 Our diverse team of individuals lives the University of Puget Sound’s values while creating a personable atmosphere that exceeds our customers’ expectations. 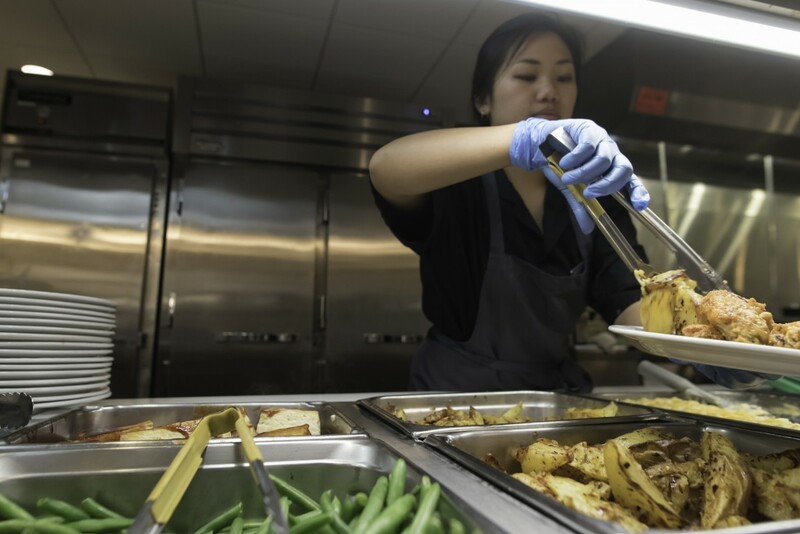 Puget Sound Dining Services is proudly owned and operated by the University of Puget Sound in collaboration with Columbia Hospitality. 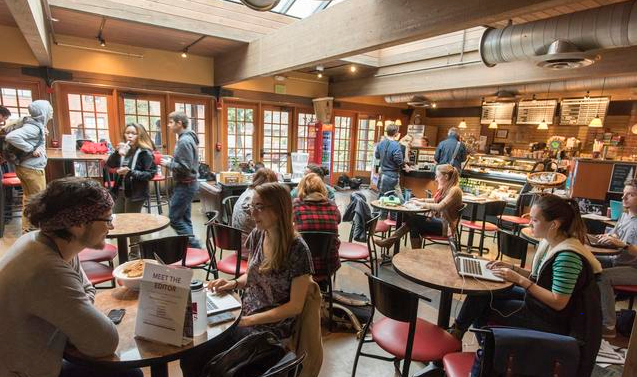 Food plays an important role in nourishing both students and campus life at Puget Sound. 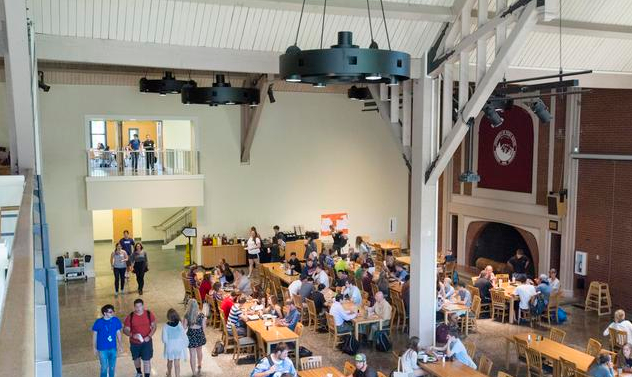 A vibrant dining experience is vital to create an environment where all members of the campus and surrounding community are eager to gather around the same table. 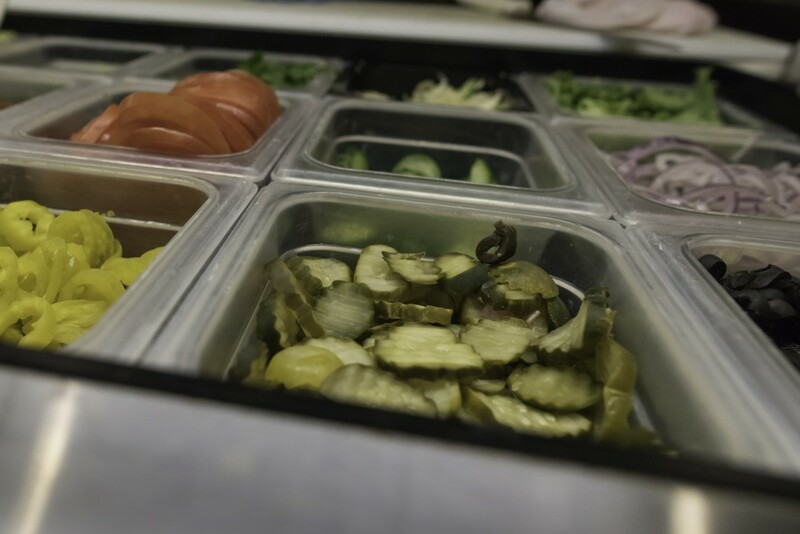 Our thoughtful, professional staff is committed to serving the Puget Sound Community. 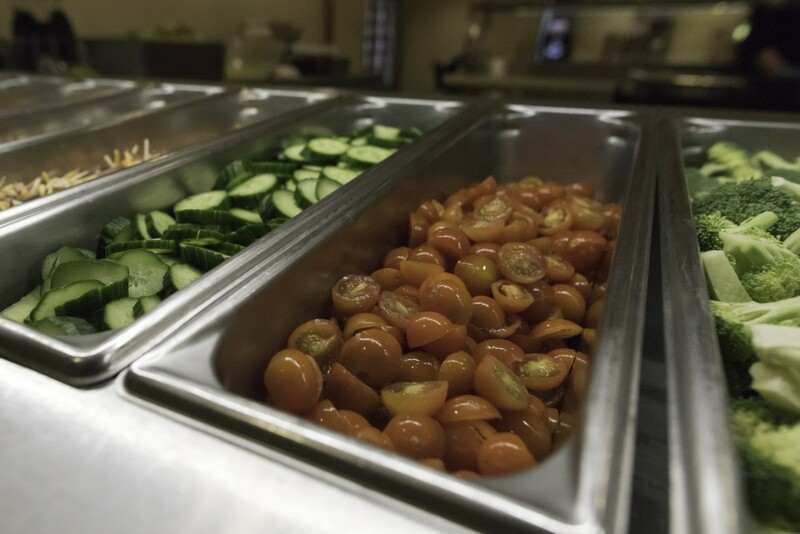 We are dedicated to providing nutritionally sound meals, mentoring students, providing hospitality with integrity and leading our community in sustainable initiatives. 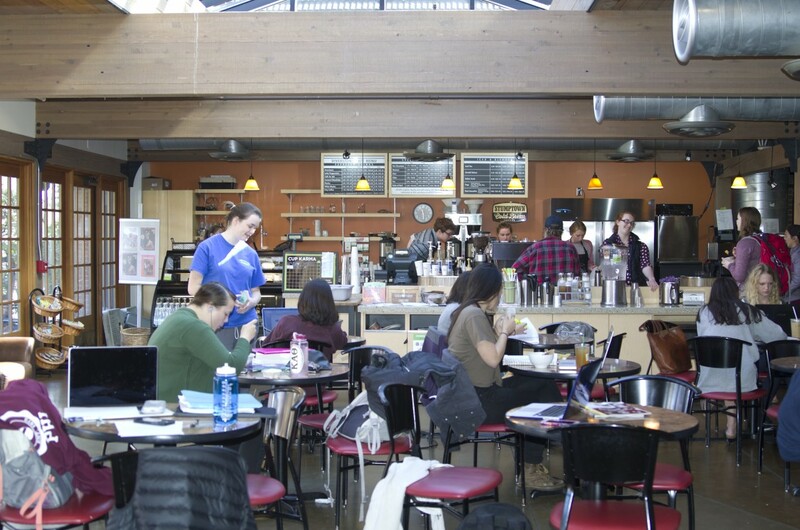 Whether you choose to recharge in The Diner, relax over a latte at Diversions, grab a slice in The Cellar, catch up between classes at the Oppenheimer Café, grab a smoothie after a work out in the Lillis Café, or gather for a meeting, conference or event we offer a dining option to fit your tastes. 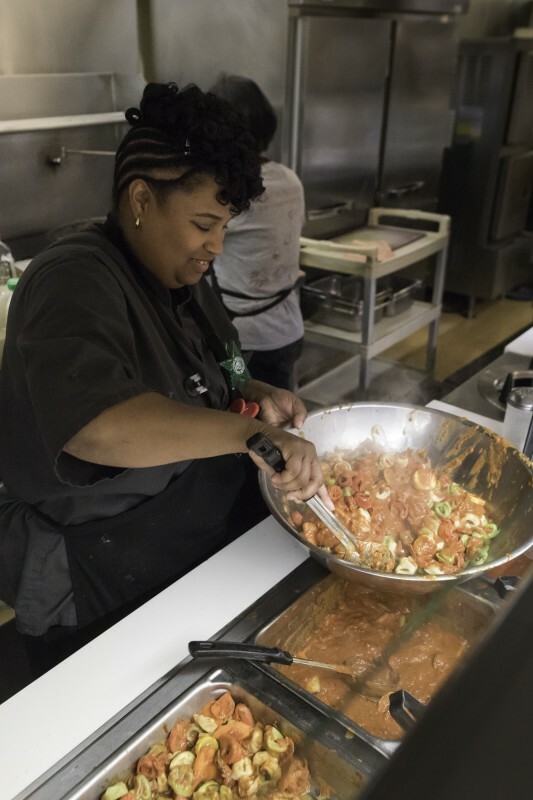 Located in the student union building, the Diner is the primary culinary hub on campus. 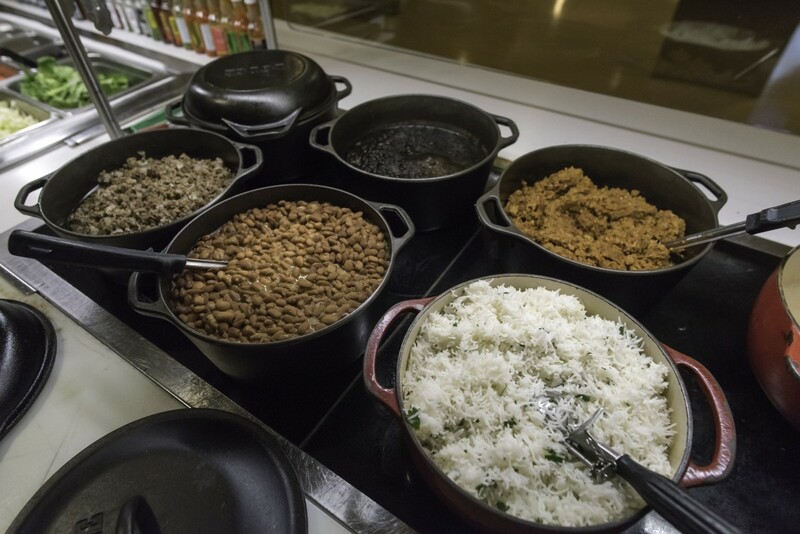 Here students and campus community members can enjoy a wide variety of foods from different cultures daily. Located at the entrance to the new Athletics and Aquatics Center, opened in August of 2016. 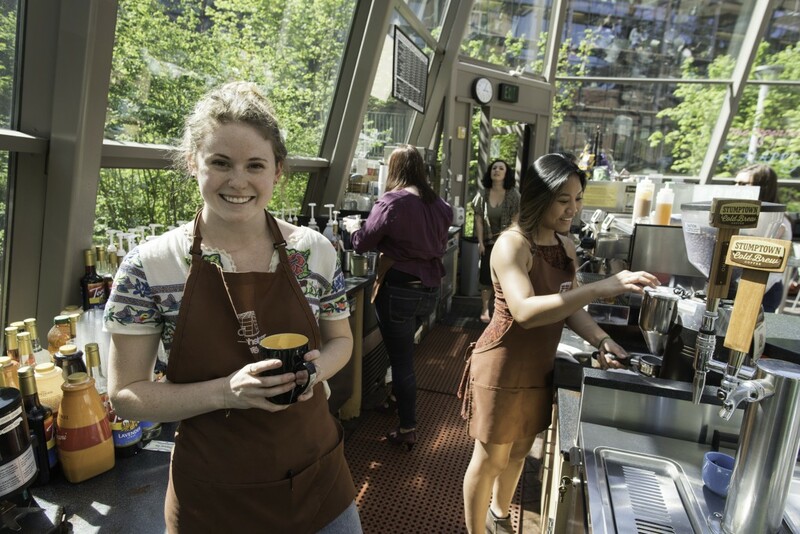 The Lillis Café is staffed by students and is a place where you can enjoy coffee, made tot order smoothies and healthy snacks. 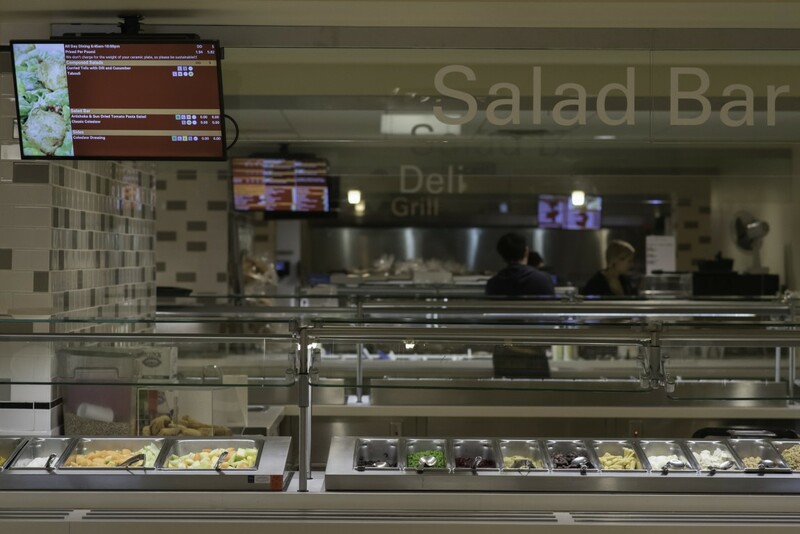 In the garden level of the Wheelock Student Center, the Cellar is a student-staffed and operated pizza eatery and convenience store. 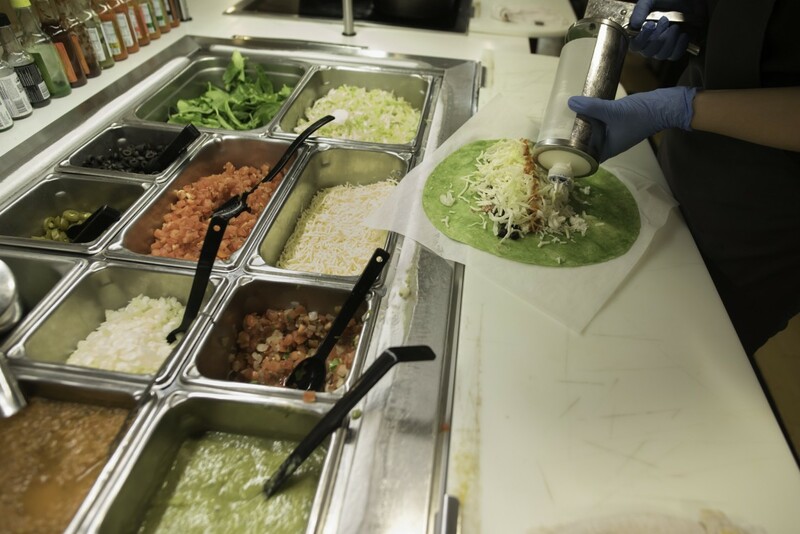 Here, you can find a quick snack, or students passing their evenings in a social setting. 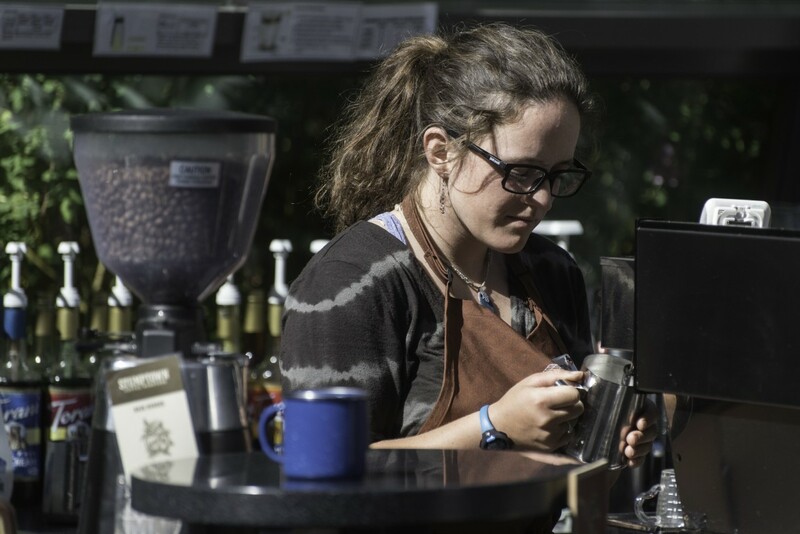 On the main floor of the Wheelock Student Center, you will find a student staffed and populated coffee shop that serves a variety of hot and cold drinks. Students use this space to study and chat, while visitors can use it as a meeting point or rest stop. 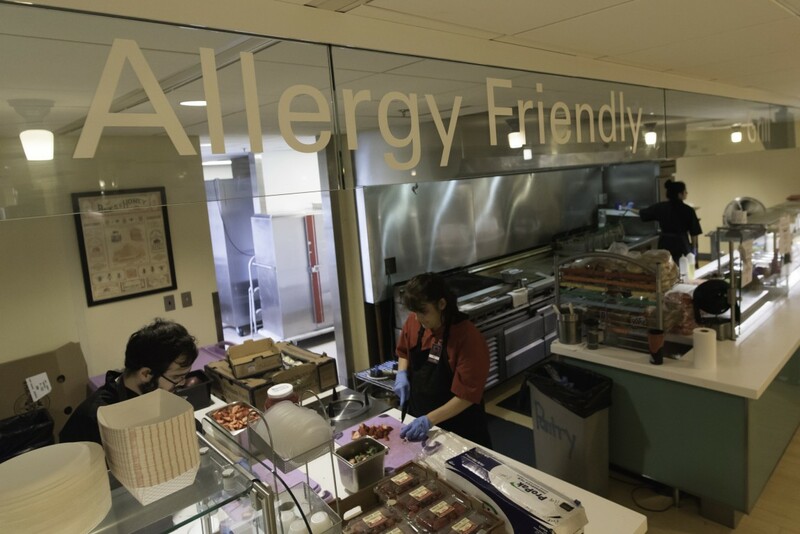 The Oppenheimer cafe is a glass sanctuary located in the science quad between Thompson and Harned Halls. This provides a well lit and welcoming environment to study, relax, and snack. 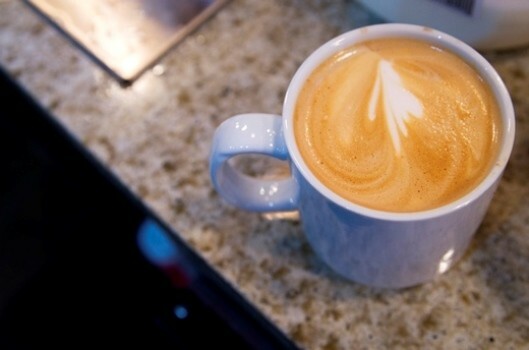 Visit on a sunny day to catch some rays, or an a rainy day to grab a cup of hot Stumptown coffee. 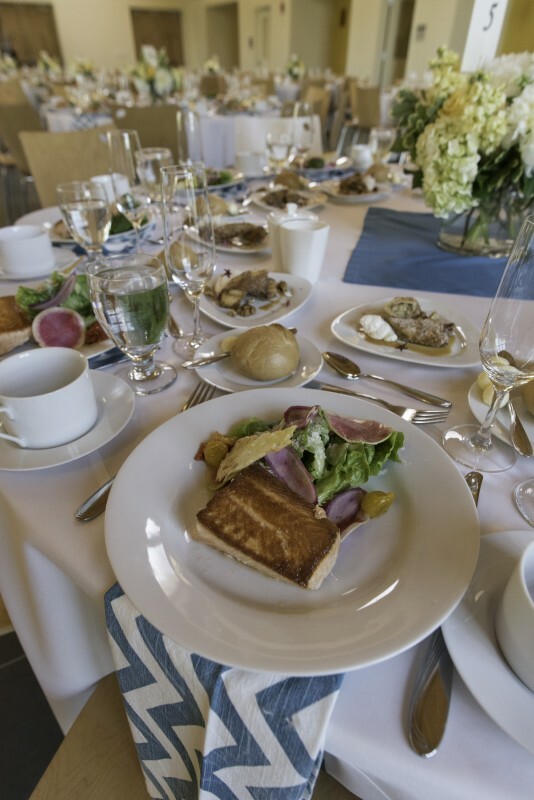 The University of Puget Sound Catering Services provide an outstanding menu for events of all shapes and sizes. 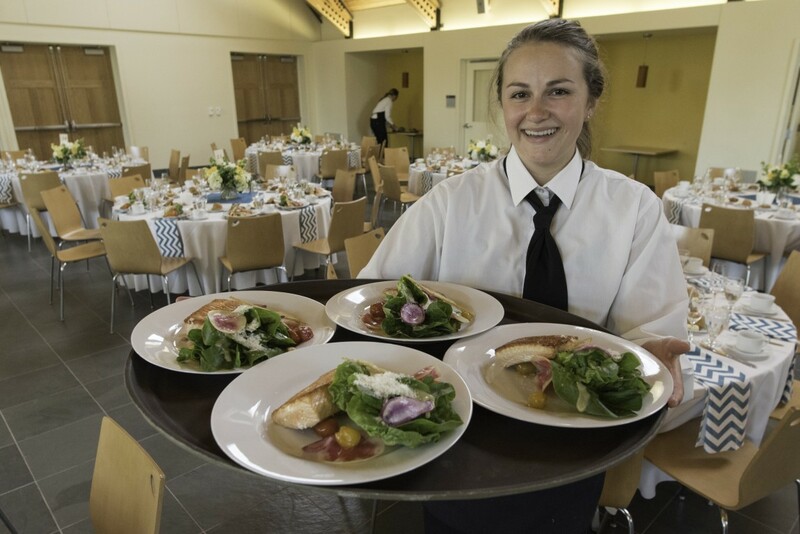 From coffee services to elegant wedding receptions, on and off-campus, Catering Services maintains a high standard for sustainability and purchasing from local merchants. 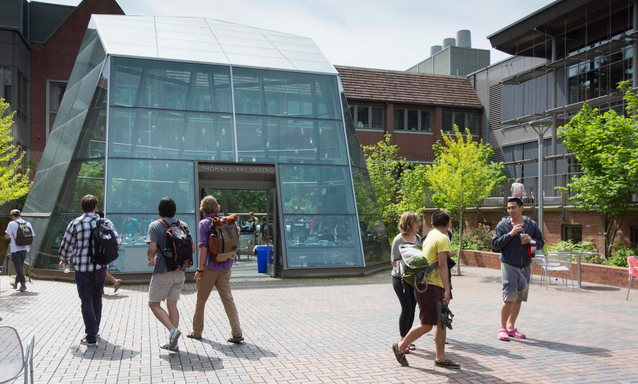 The University of Puget Sound plans and coordinates a wide variety of conferences all year round. If you are a non-profit organization looking to coordinate a conference, meeting or event we can help you. We offer daytime as well as overnight accommodations for groups ranging from 25 - 3,500 people. 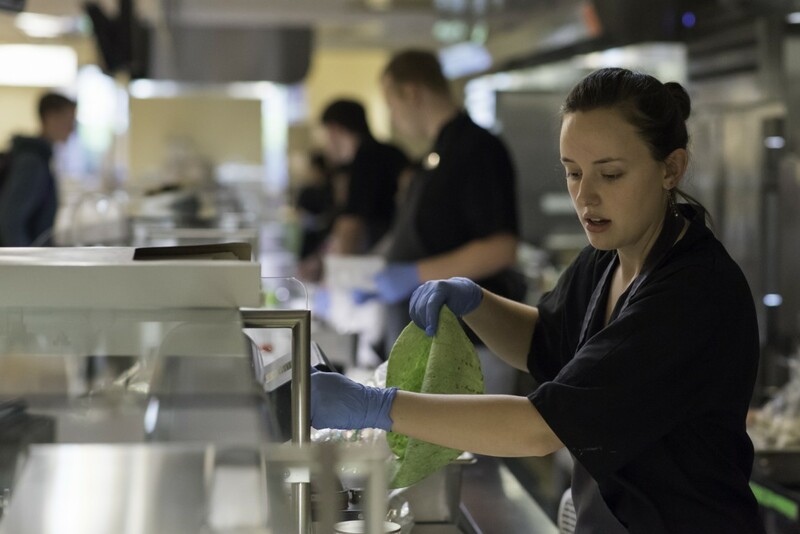 Do you want to exercise your voice in the food service community on campus? Use our online feedback form to evaluate our department and give us vital input from our most important customers--the campus community.